Young people who start drinking before age 15 are significantly more likely to develop alcohol use disorders as adults than those who wait until after age 18, but researchers are not sure if early onset drinking is a marker for higher risk or a direct risk factor. Researchers at the National Institute on Alcohol Abuse and Alcoholism (NIAAA) examined data from a three-year study of 22,316 drinkers who are now 18 years or older. They looked at the associations between the first incidence of alcohol dependence or abuse and three age-of-first-drink groups—younger than 15, between 15 and 17, and 18 years or older. The scientists were careful to control for other risk factors for developing drinking problems, such as family history, duration of exposure to alcohol and other childhood risk factors. 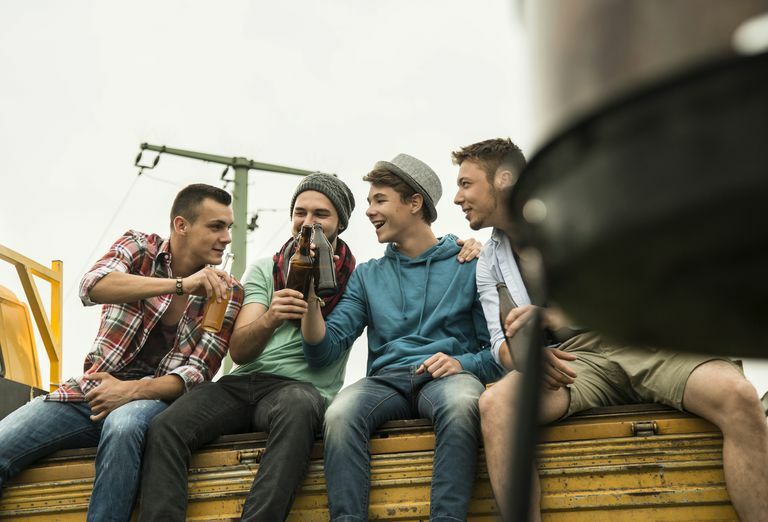 The key finding of the NIAAA research was that people who started drinking before age 15 were 50% more likely to become alcohol dependent as adults. The same was true to a lesser extent for those who started drinking between ages 15 and 17. "Past studies have often suggested that this association might result from common risk factors predisposing people to both early drinking and alcohol use disorders. Although the current study does not provide conclusive evidence that early drinking directly increases alcohol use disorder risk, it suggests that it is premature to rule out the possibility of such a direct effect." said Deborah A. Dawson, staff scientist at the NIAAA, in a news release. The NIAAA researchers believe that impaired executive cognitive function leads young people to make choices that lean toward the immediate pleasure associated with heavy drinking rather than choices to avoid the long-term risks of alcohol use disorders. But the question they have not answered is whether the impaired executive cognitive function leads to heavy early-onset drinking, or the early heavy drinking causes the impaired executive cognitive function. Regardless, the NIAAA researchers conclude that prevention programs and public health policies should be targeted at children under age 15 and underage drinking, in general, to try to delay the onset of drinking alcohol as long as possible. "The data support the notion of delaying the onset of drinking behavior as late as possible as an important principle for the prevention of alcohol use disorders later in life," said NIAAA researcher Howard B. Moss. "More specifically, these findings provide the scientific basis for those prevention programs that focus on decreasing underage drinking, as well as supporting those public-health policies that are geared towards the prevention of underage drinking." How Many People Are Alcoholics in the United States?